19X11mm 100pcs 2# 100pcs Sew On Resin Round Rivoli Rhinestones 2 Holes Buttons Clear AB 10~18mm by bulesky_999 at dstclub.org. MPN: 7108987214748. Hurry! Limited time offer. Offer valid only while supplies last. 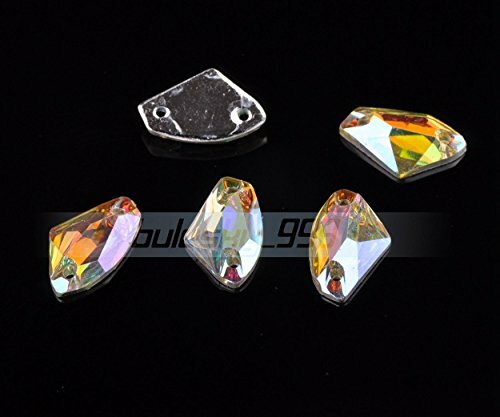 Material: Resin Rhinestone Acrylic Colors: Clear AB Quantity/unit: 100 pcs Just prefer for sewing on cloehese,scarf or other things for your design. But no iron or heat. Note: 1inch=25.4mm Sizes were measured by hand , maybe few error , please notice this before purchase!! "Item will be shipped from China, needs 20-30 days to deliver." View More In Beads & Bead Assortments. If you have any questions about this product by bulesky_999, contact us by completing and submitting the form below. If you are looking for a specif part number, please include it with your message.